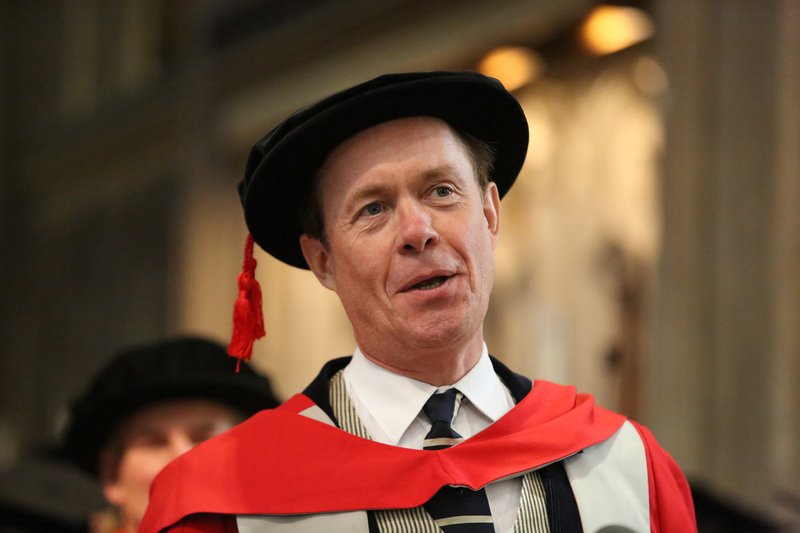 Bristol Old Vic Theatre School alumnus Alex Jennings has received an Honorary Doctorate from the University of the West of England. 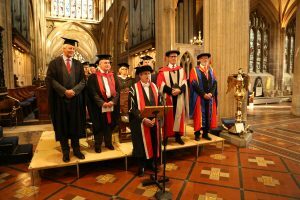 The award was presented by Professor David Halton, Chair of Trustees for the School at the graduation ceremony at St Mary Redcliffe Church, Bristol. 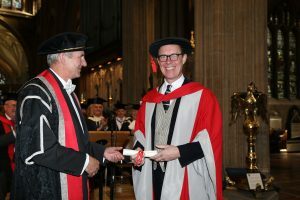 Alex Jennings has excelled in every area of a working actor’s world: from reading poetry at the Ryedale Festival’s truth’s disguise series to receiving 8 awards for audio book readings; for working in films playing as diverse a set of roles as Prince Charles and Alan Bennett; for starring in the West End as Willy Wonka in Charlie and the Amazing Chocolate Factory and for a huge number of roles in many television series and dramas, including King Leopold in Victoria and the Duke of Windsor in The Crown. 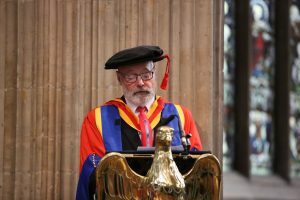 He is the only person to have won three Best Actor Olivier Awards for Comedy (Too Clever by Half in 1988), Drama (Peer Gynt in 1996) and Musical (My Fair Lady in 2003). Upcoming for 2018 is BBC drama A Very English Scandal, which will also feature recent BOVTS graduate Michelle Fox. Images: Ede & Ravenscroft. 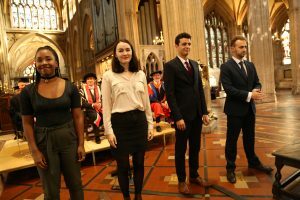 Clockwise left to right: Graduation at St Mary Redcliffe Church; BOVTS Chair of Trustees Prof David Halton; Alex Jennings receives Honorary Doctorate; BOVTS students perform at Graduation.